No, we didn't actually make it this far north. We were recently sent this photo from our friends Paul and Annie on S/V Dema. They took this picture for us while visiting the Percy Islands, which are Southeast of Mackay. 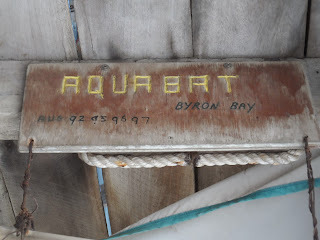 We are definitely the only Aquabat originally out of Byron Bay so this is something for our history books! 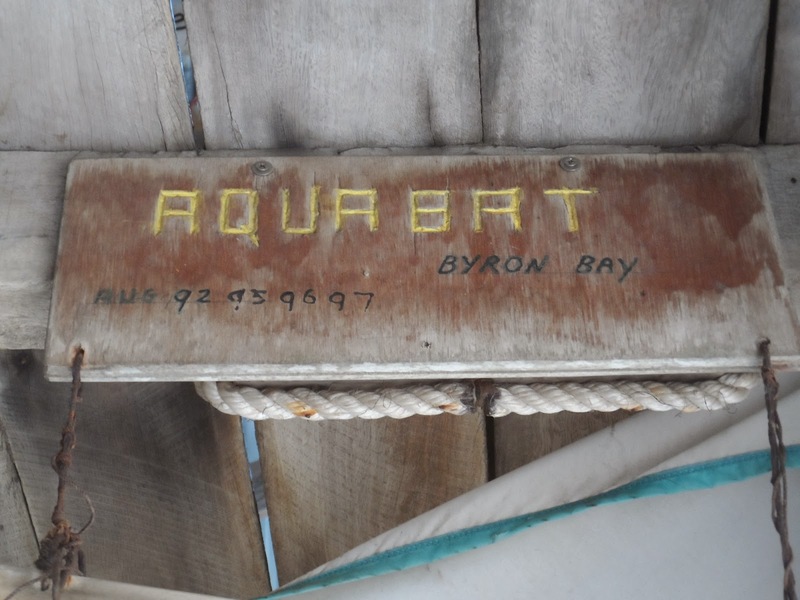 We had vaguely heard of a shack in the Percy Islands where visiting yachties can leave momentos of their visit. This was it. Not knowing much about the shack or the island, we did some research and the island actually has quite an interesting story. I would never be able to do the story justice in summary so click here to read the full story as it was originally published in the Sydney Morning Herald. Hopefully someday we will be able to notch some more years onto the tally. Thanks Nev. Same to you and your family! Alissa and Bryce. G'day and stay safe. A work colleague of mine Vic Stephens owns and sails "Northern Moment" a Bavaria 42 presently at Rosslyn Bay and sails the Keppels Whitsundays and Barrier Reef Islands generally. Say G'day from me if your paths cross. All the best for 2014 Happy Adventuring. Thanks Nev. We will keep our eyes open!